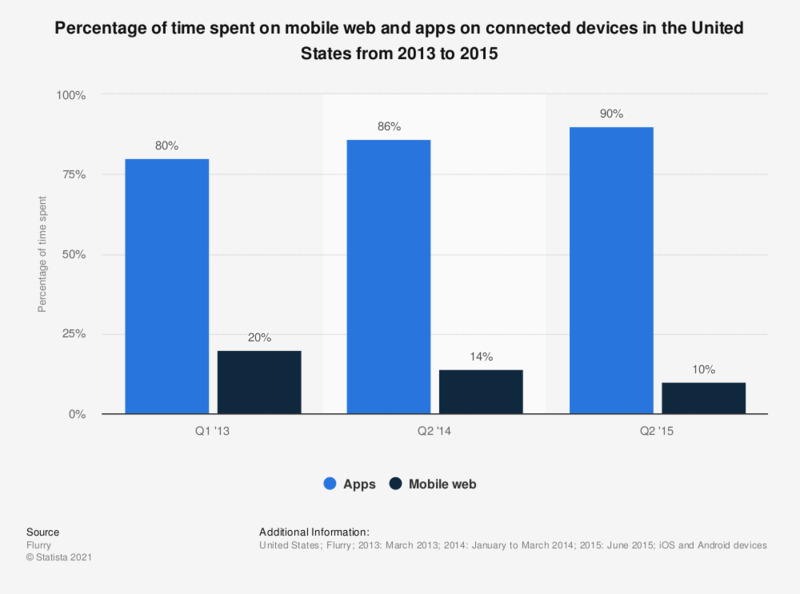 This statistic illustrates the distribution of time spent on mobile web and apps on connected devices in the United States from 2013 to 2015. In 2013, 80 percent of time spent by U.S. consumers on connected mobile devices was spent on mobile apps. In 2015, this share increased to 90 percent.